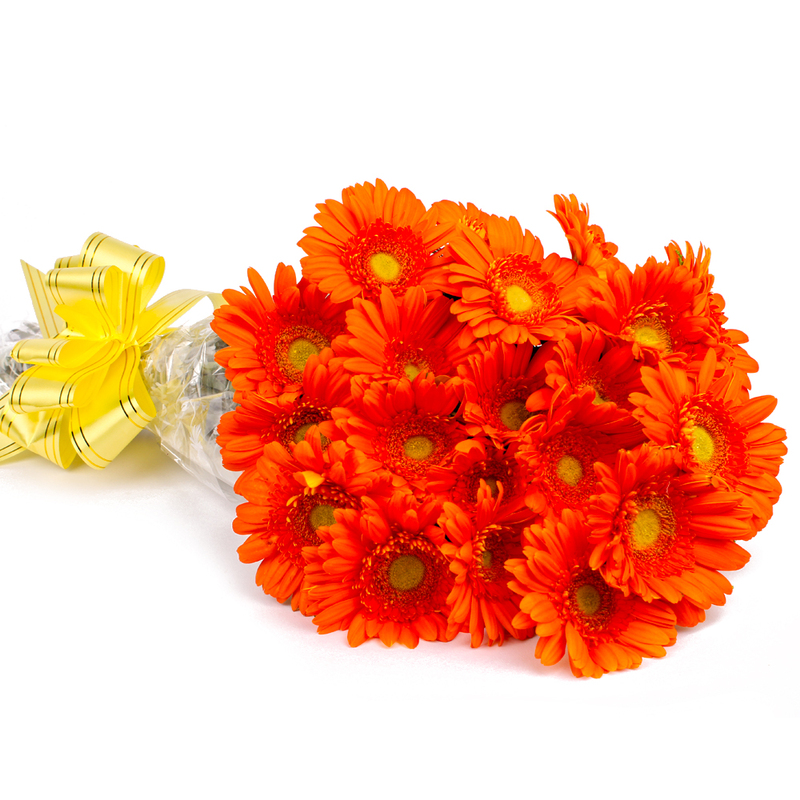 Product Consist : 18 Stem Orange Color Gerberas with green fillers in Cellophane Wrapping with Ribbon Bow on it. 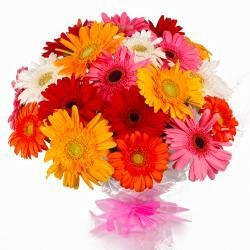 This combo is no different and contains a lovely bunch of gerberas for supreme delight. 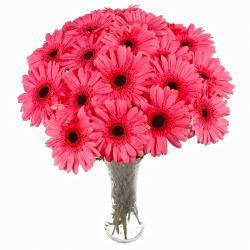 There are eighteen gerberas which are neatly packed together in cellophane. There is a matching ribbon bow on top for extra aesthetic appeal as well. It will definitely be quite hard to resist when it comes to festive shopping for friends and relatives. 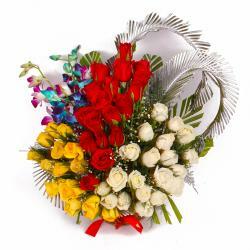 These flowers are must haves for occasions like Diwali, Birthday, Anniversary, Best of Luck, Durga Puja, Womens Day and the like. 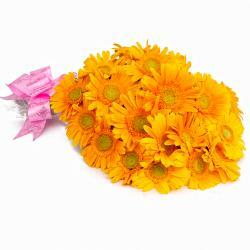 Product contains : 18 Stem Orange Color Gerberas with green fillers in Cellophane Wrapping with Ribbon Bow on it.